The SUBWAY D-800+ addresses the player who wants enhanced frequency control and an interface for outboard signal processing. The upscale D-800+ preamp features expand upon the acclaimed D-800 by including a comprehensive EQ section with Semi-Parametric sweep-able LOW and HIGH MID Bands, the addition of a BRIGHT switch, an adjustable HIGH-PASS Filter with control from 30Hz to 150 Hz, and on the Rear Panel, a Series Effects Loop, Tuner Output and 1/4” MUTE footswitch jack. 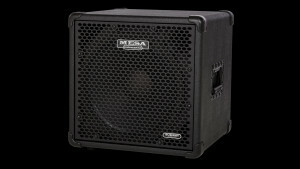 Mesa/Boogie's Mark Five: 35 is an upgraded rendering of their recent smash hit, the mini-platform MARK FIVE: 25. 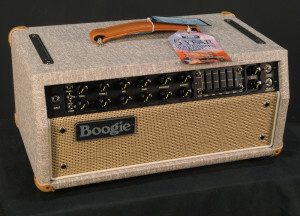 They've added a Channel Independent SOLO Feature, a long-spring tank for the all-tube Reverb, the complete set of Voicing Choices from their CABCLONE with the addition of the VINTAGE setting, on-board DI Output, and an upgraded Footswitch for access to the new footswitchable choices. This new blend of perfect clip-ablity on demand and exciting, dynamic headroom when you need it, creates the most adaptable MARK amplifier yet!